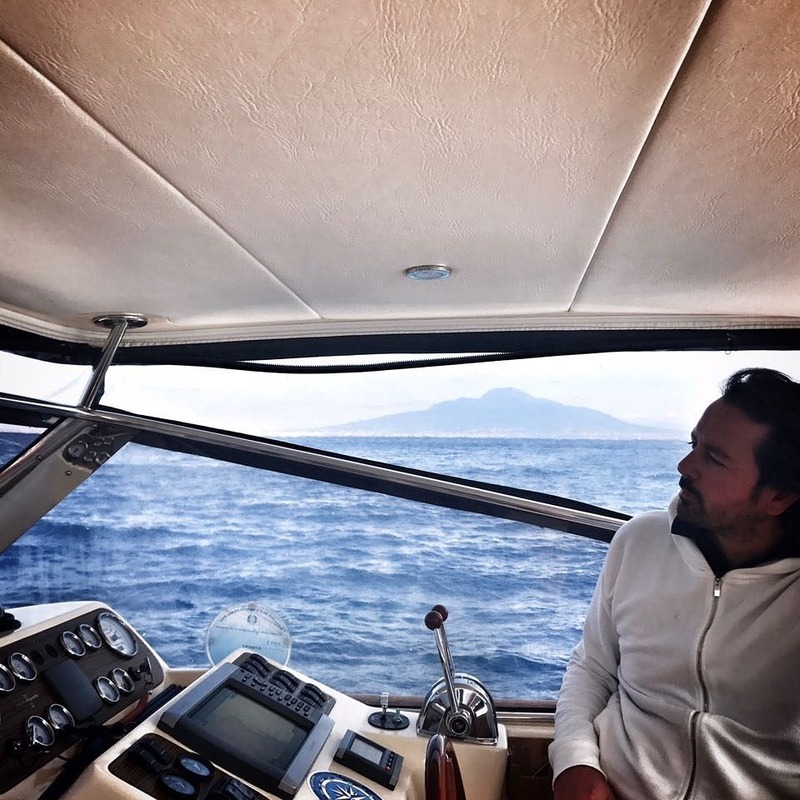 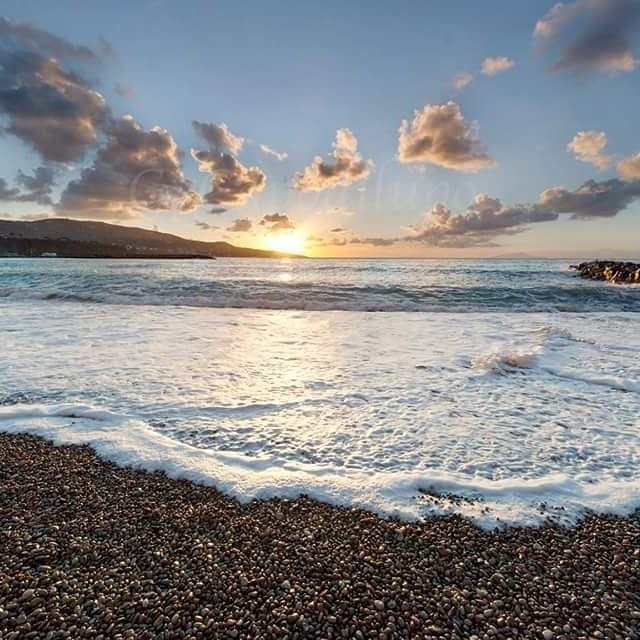 Since I was a child, I’ve always loved and lived intensely the sea and, for this reason, I’ve decided to do this job and and I have founded Luca's Boat. 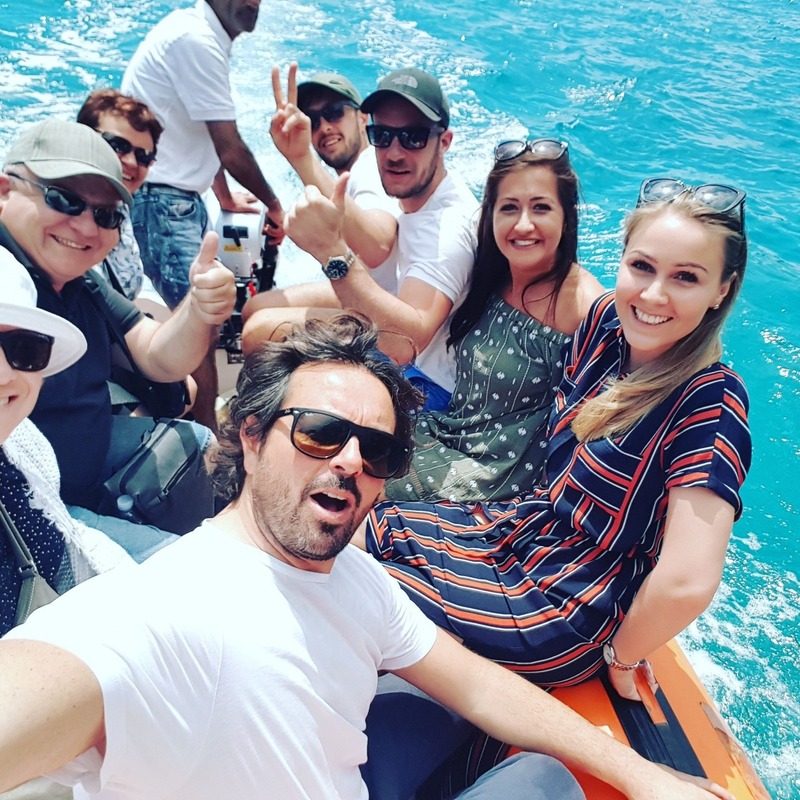 I’m a really kind and friendly person and, during the tour, I love to tell stories and anecdotes about the area, trying to convey my same emotions to all my passengers. Don’t hesitate and ask me, I’ll be at your complete disposal for all the day! 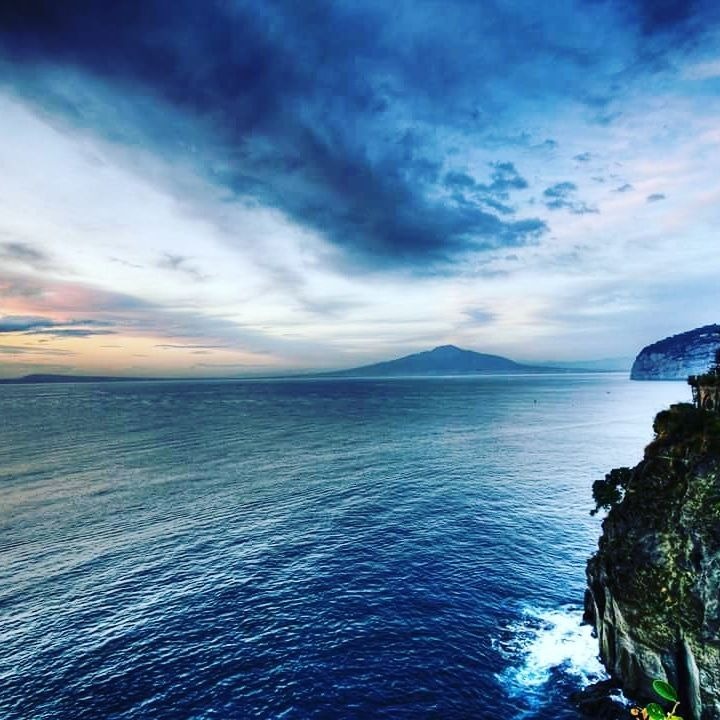 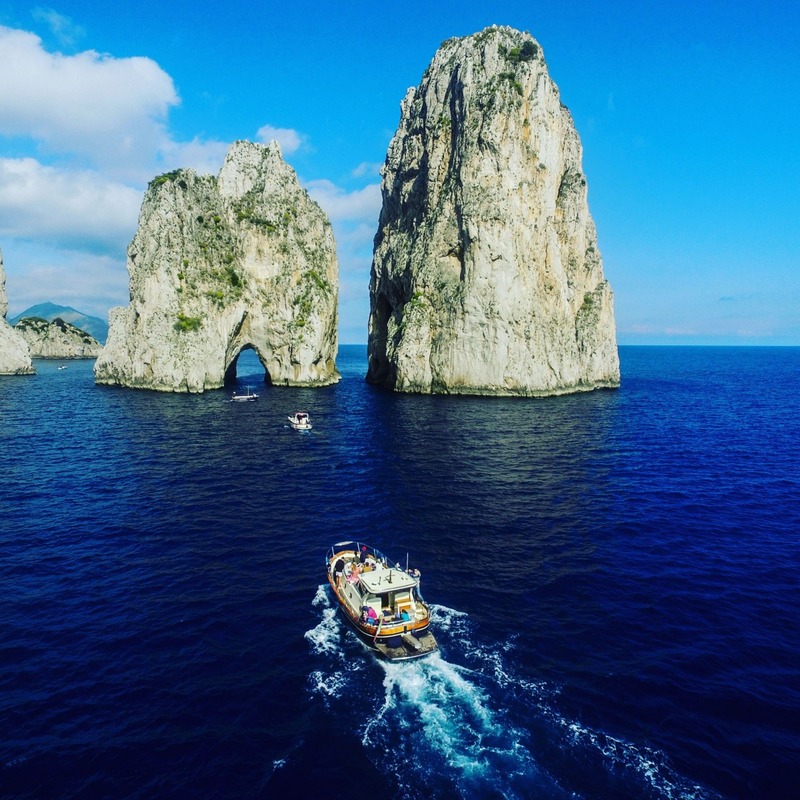 Capri Island, Sorrento and the Amalfi Coast are the frame of magnificent panoramas and breathtaking views; my goal is to show you all of them. 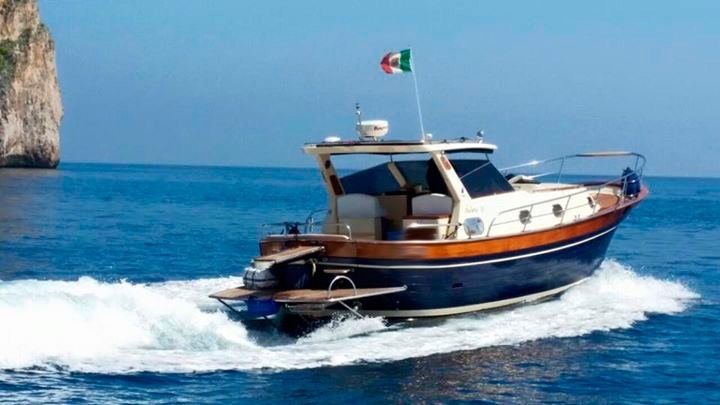 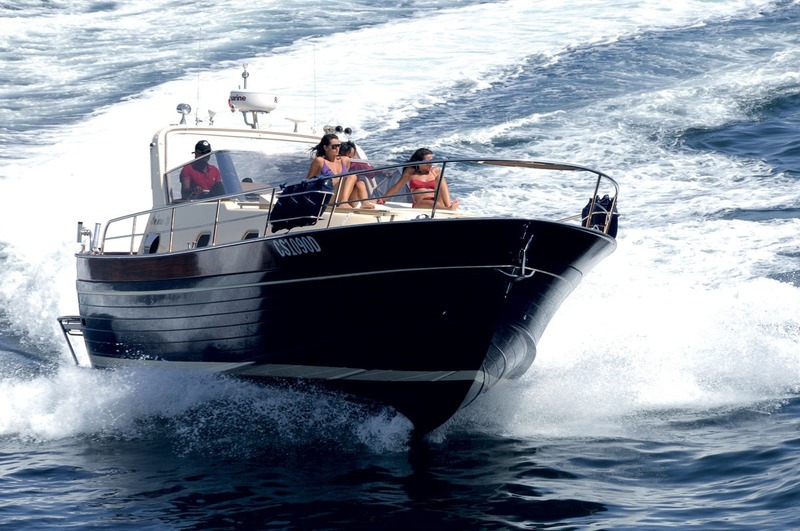 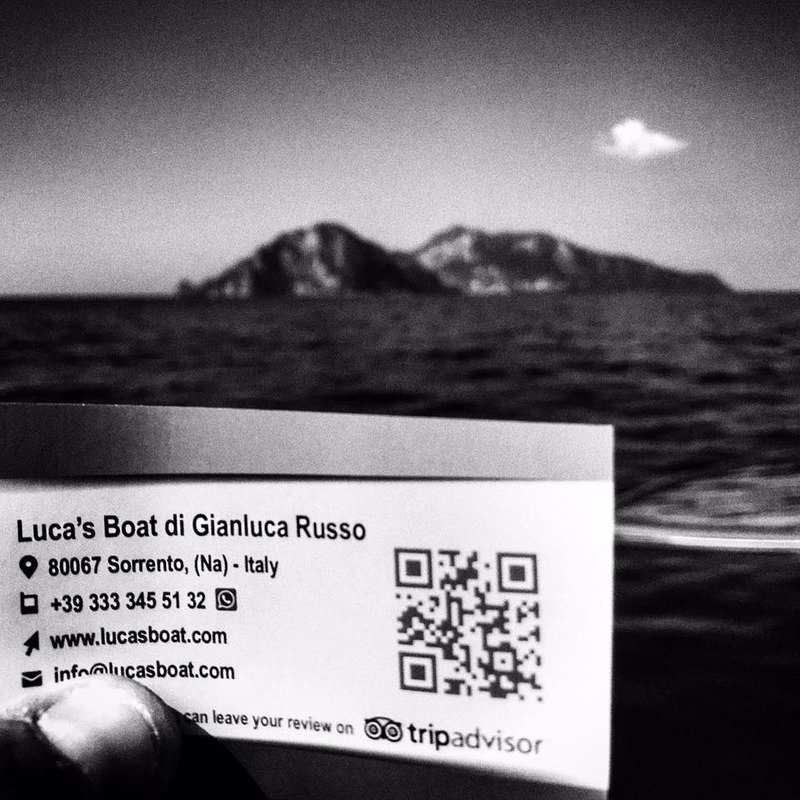 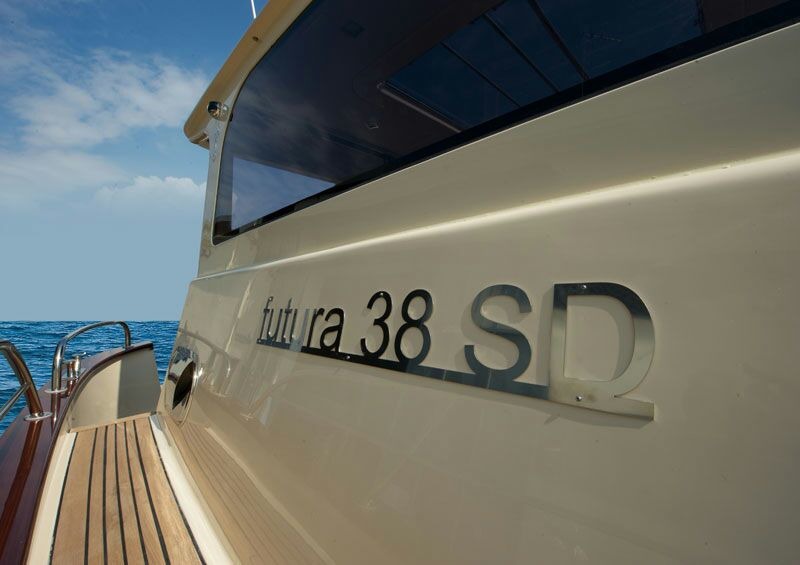 Trust me and enjoy an unforgettable day with Luca's Boat! 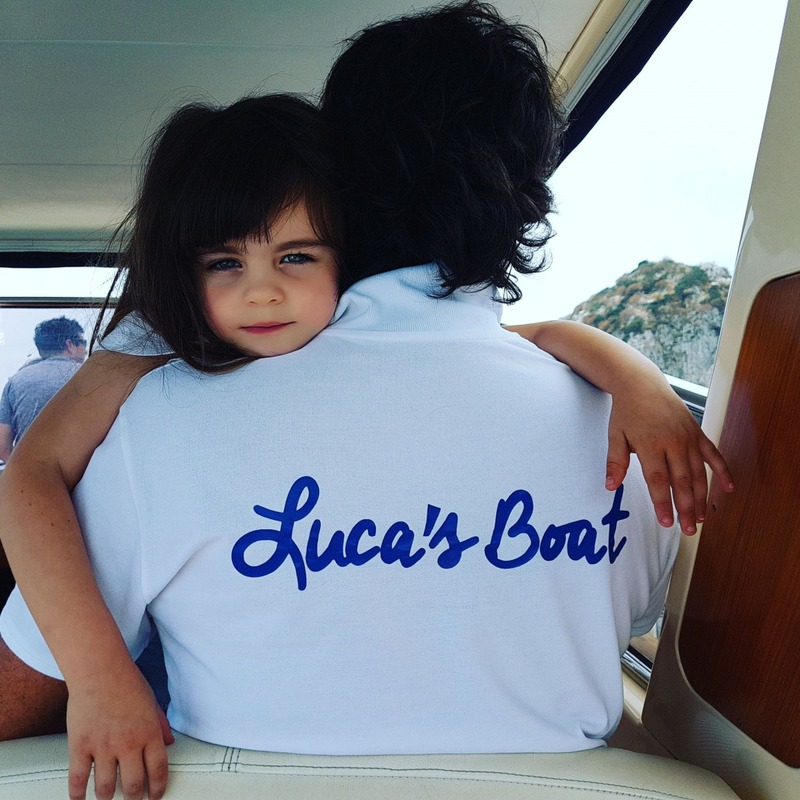 Luca's Boat best seller! 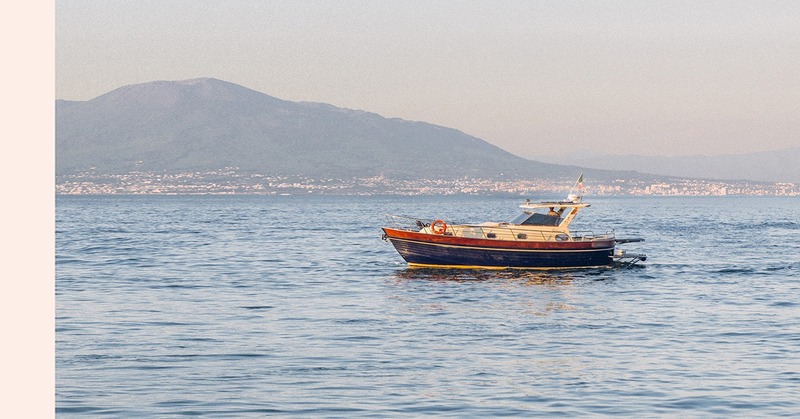 The pick up point for the tour departure is the port of Sorrento, where you will be greeted on the boat by our skipper. 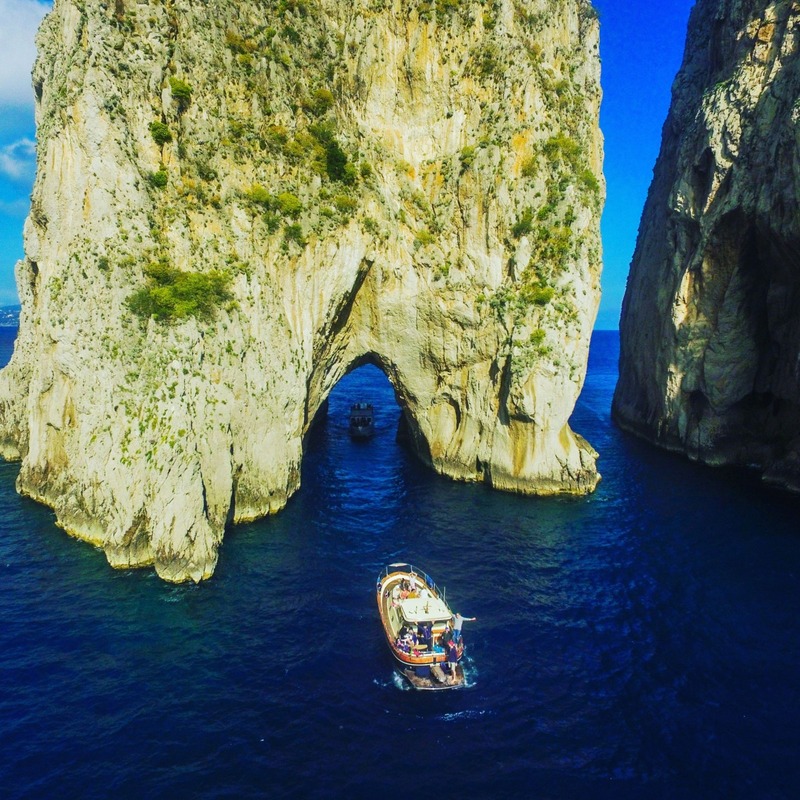 We’ll set sail from the port of Sorrento and it will take about 45 minutes to land on the coast of the island of Capri. 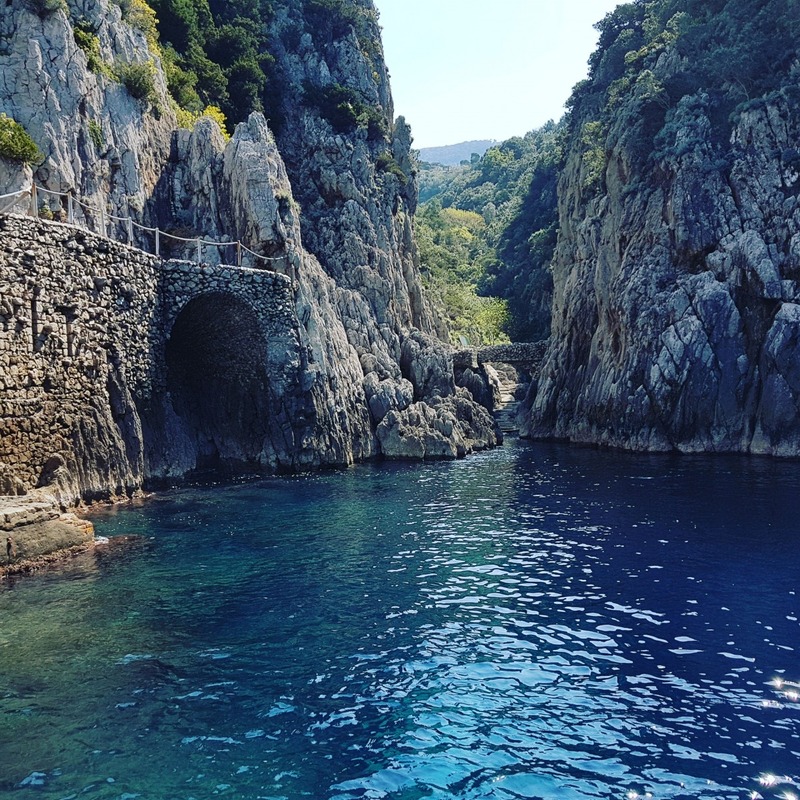 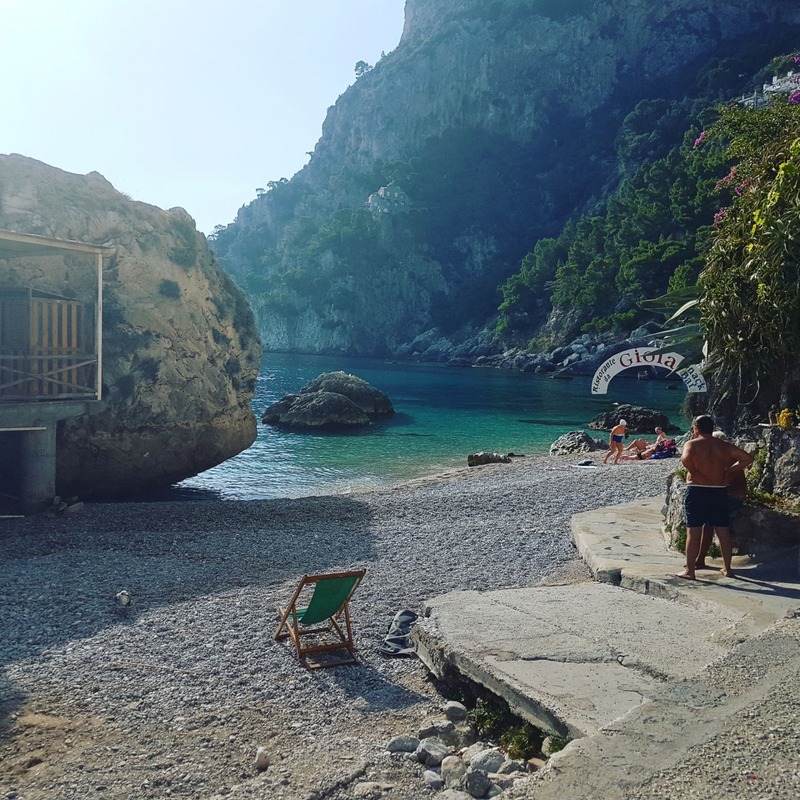 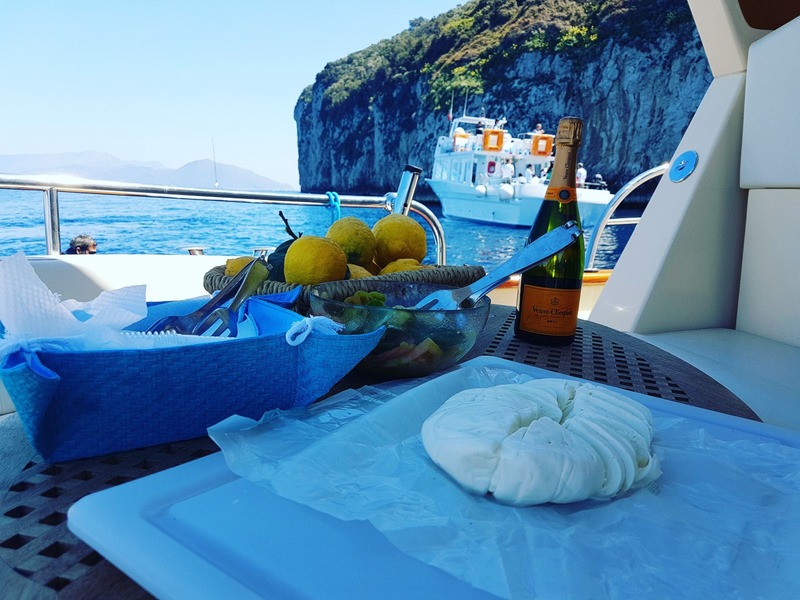 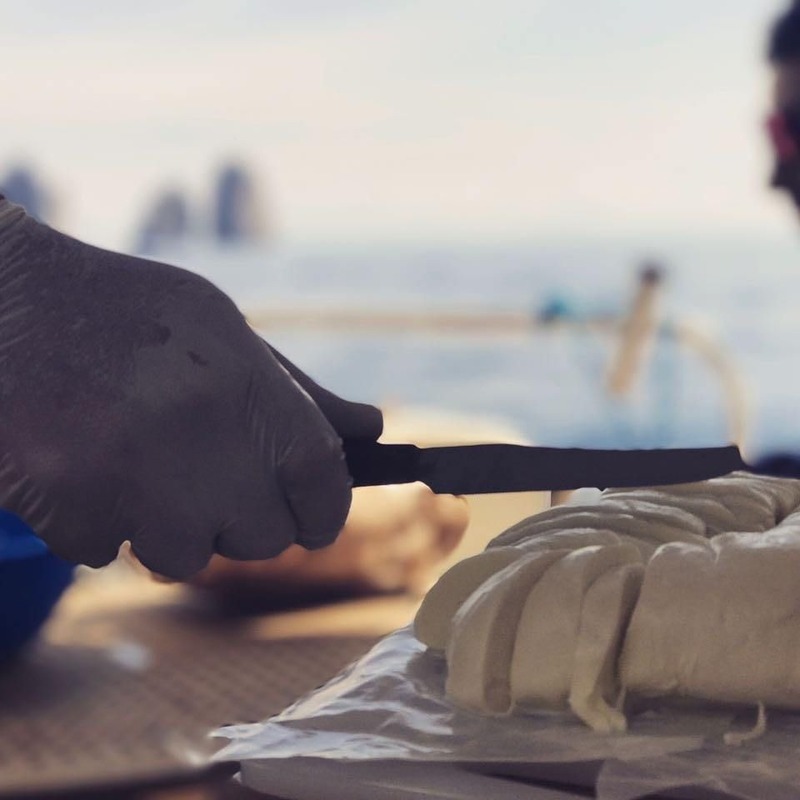 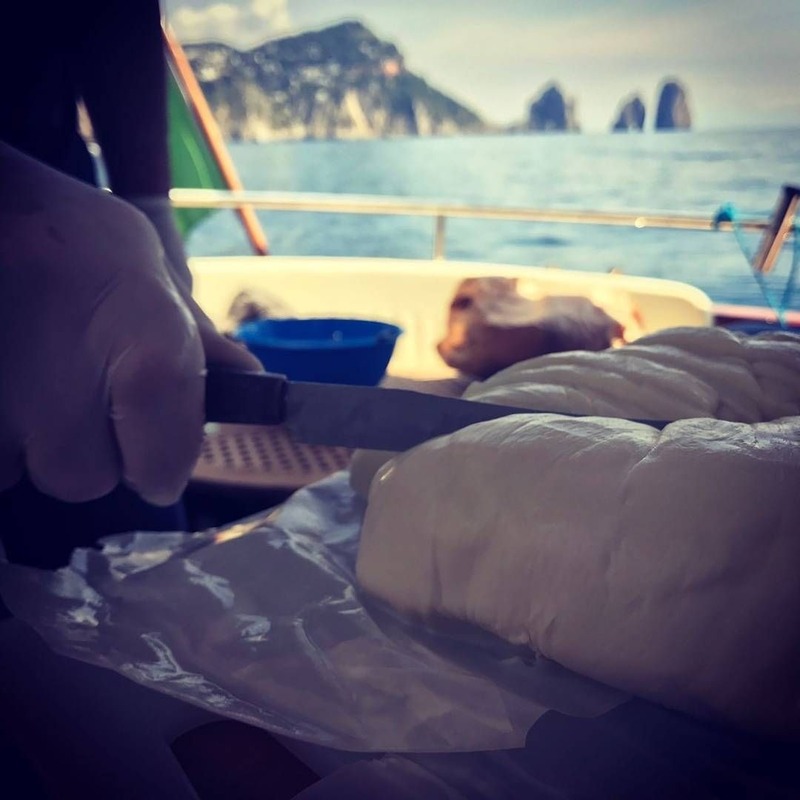 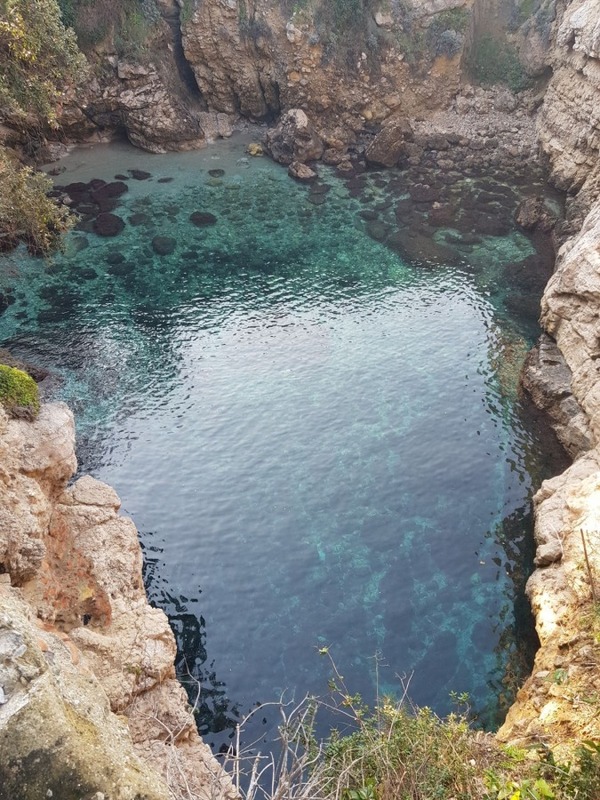 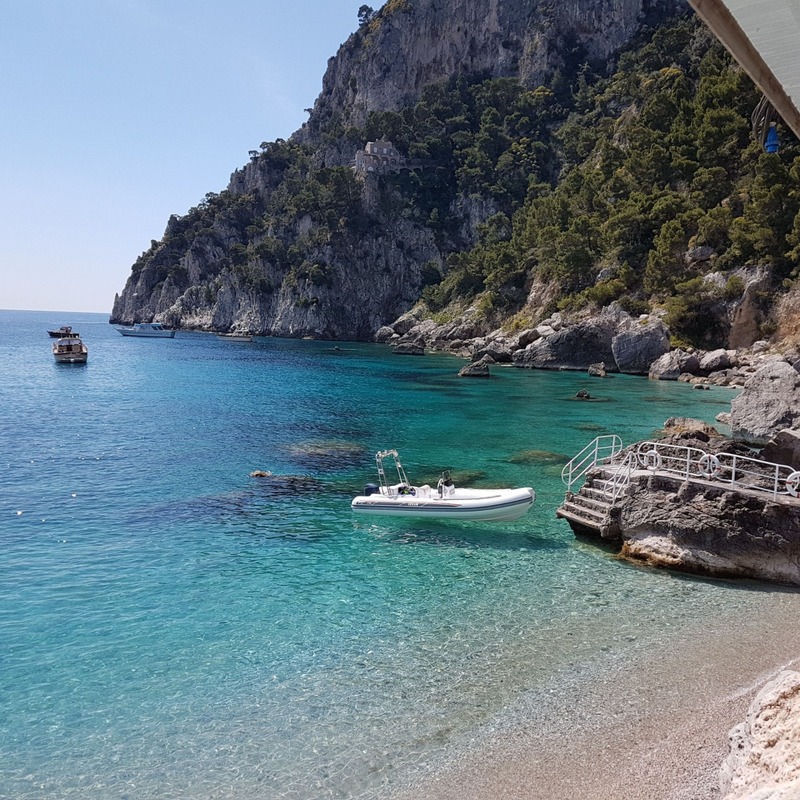 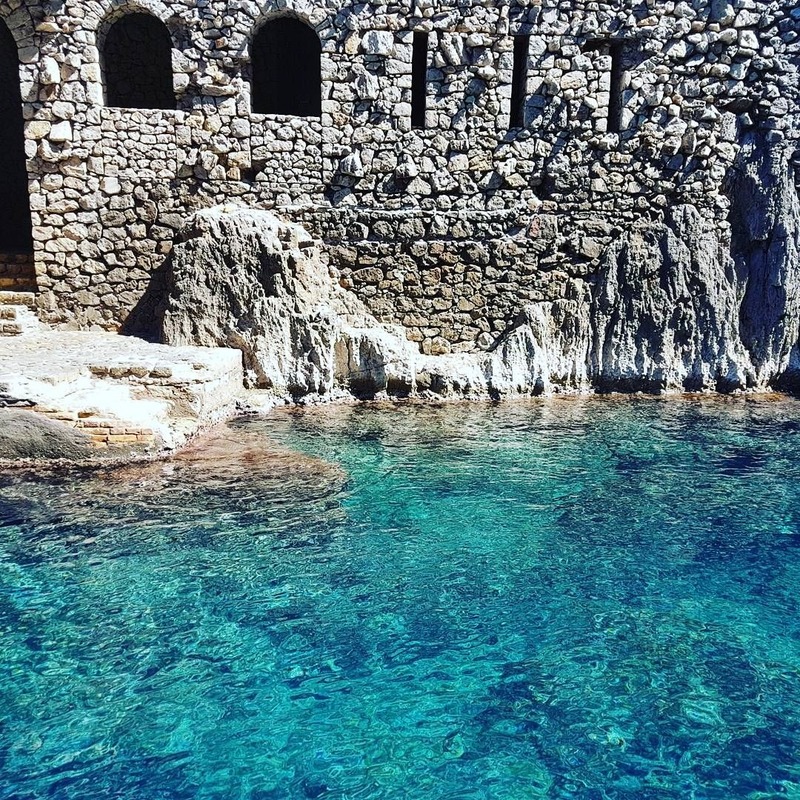 After seeing the “Salto di Tiberio”, the Coral Grotto, The White Grotto and passed through the Faraglioni, we disembark at Marina Piccola, stopping at a restaurant where you will be served a tasty sandwich (included). 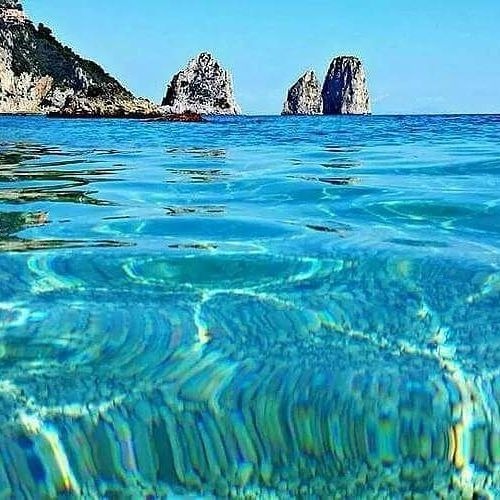 You will have 3 hours to visit the island. 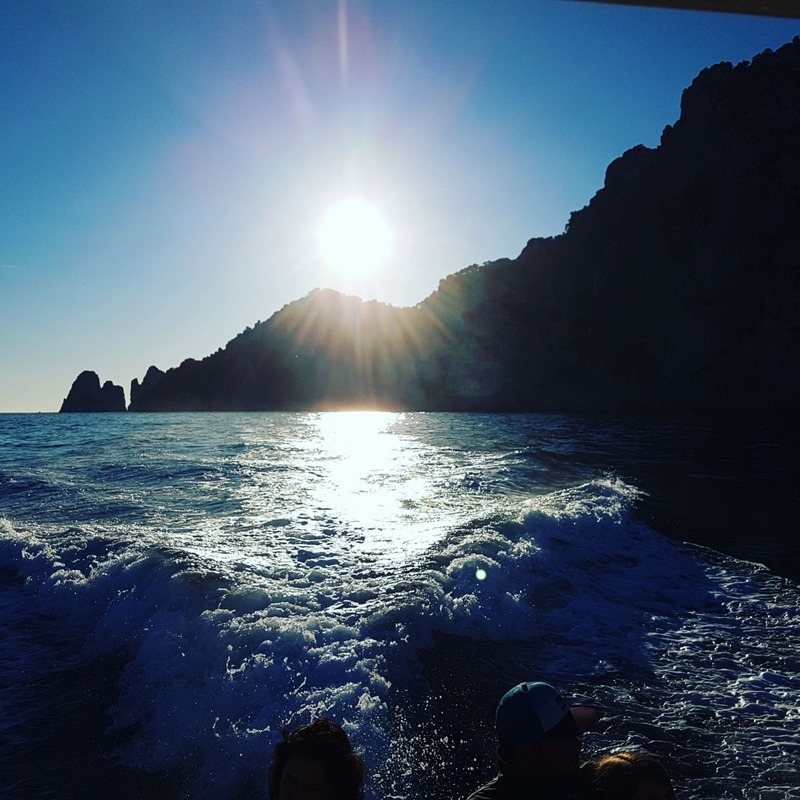 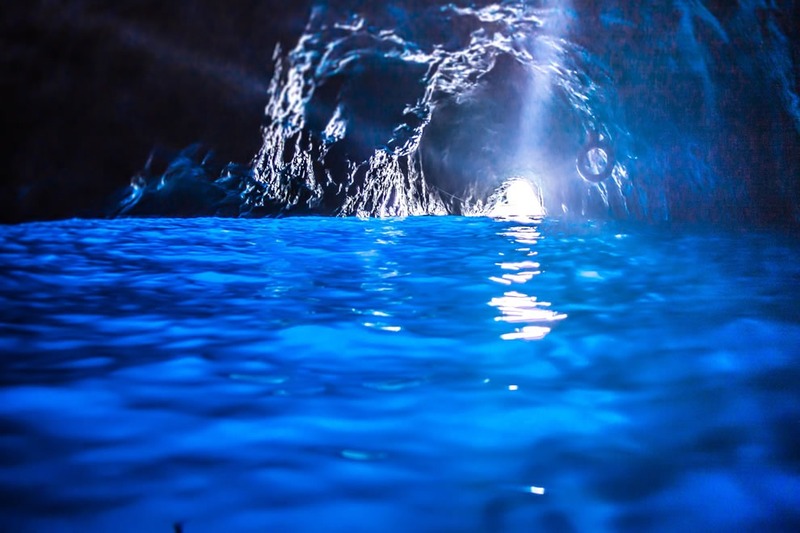 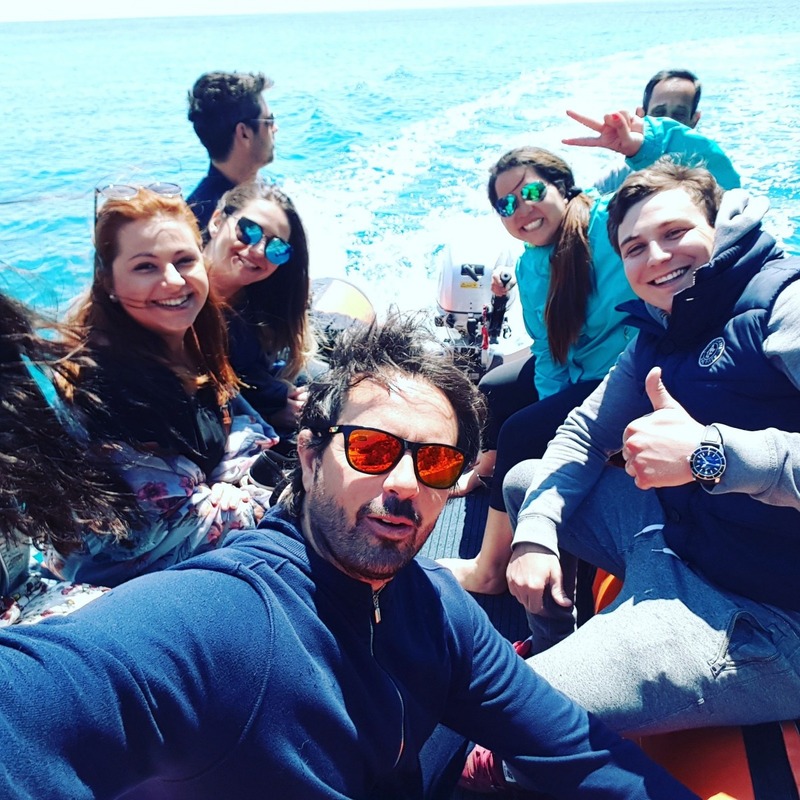 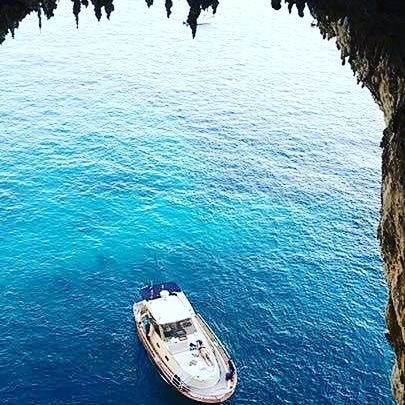 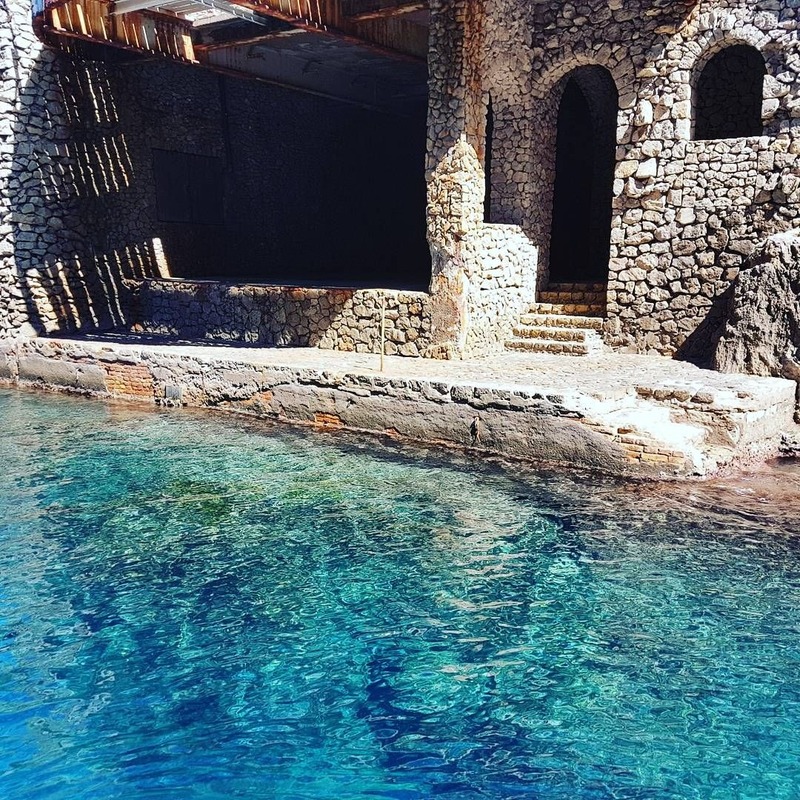 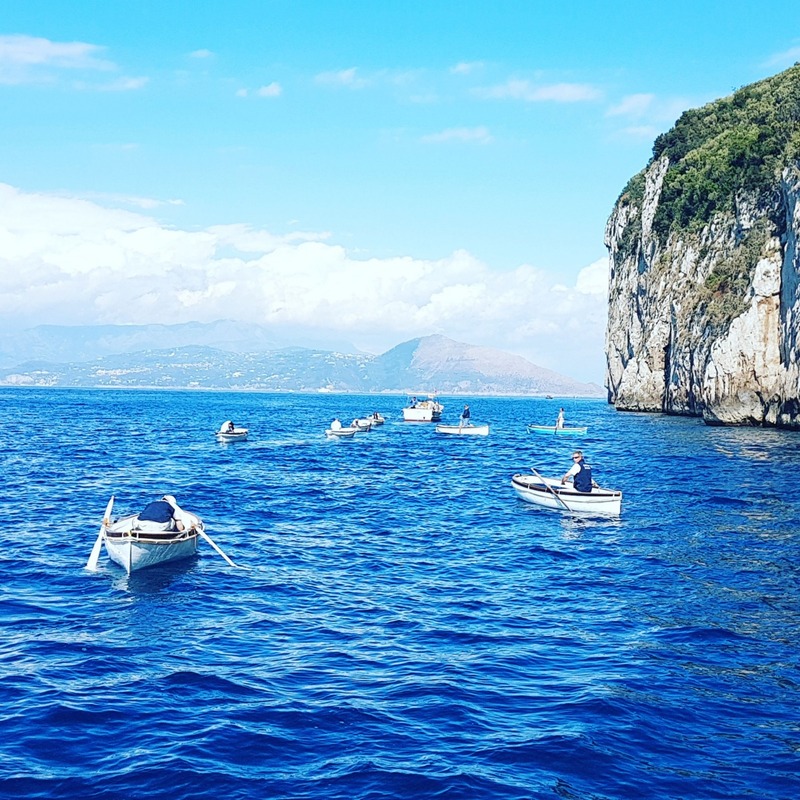 Once back on the boat, there will be opportunities to take a swim in the crystal clear waters of the island, visiting the Green Cave and the Blue Grotto (ticket not included). 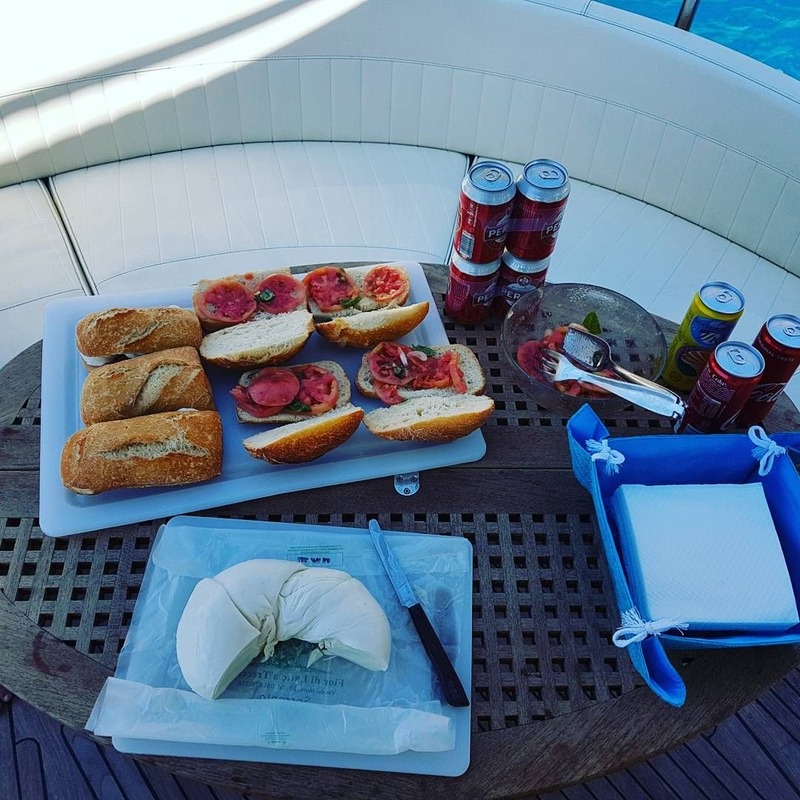 During the tour you can enjoy a fresh fruit salad accompanied by a soft drink and a beer. 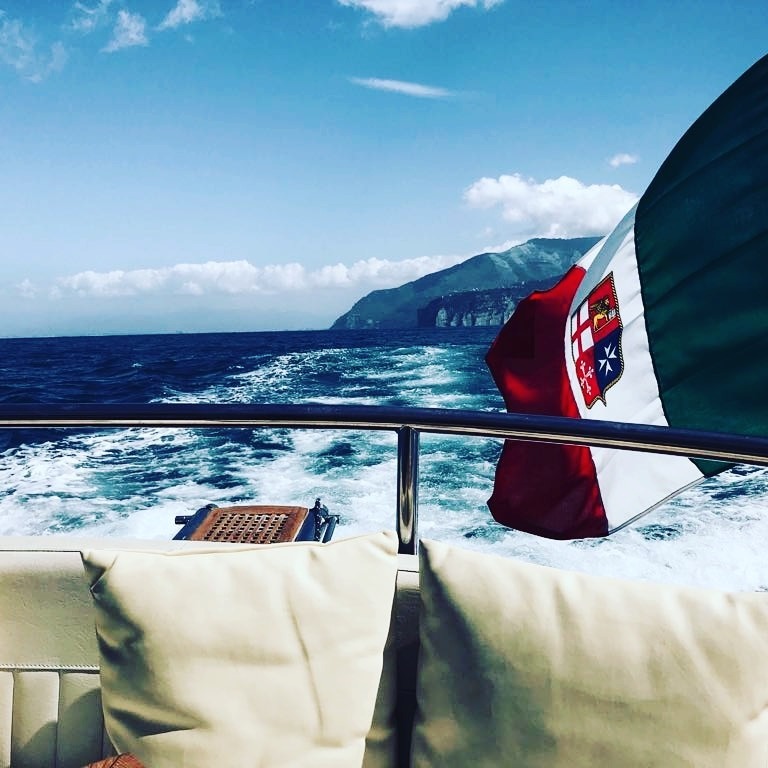 At the end of the boat trip we return to the port of Sorrento. 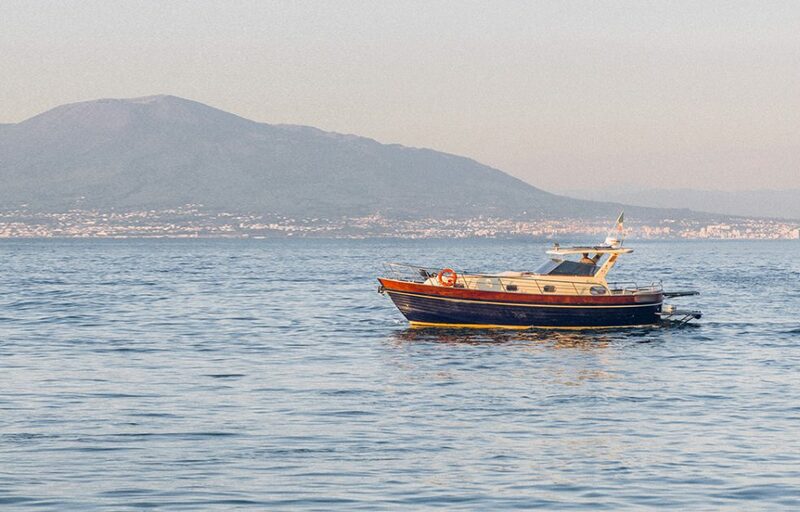 The tour will depart from the port of Sorrento, where Luca, our skipper, will welcome you on the boat. 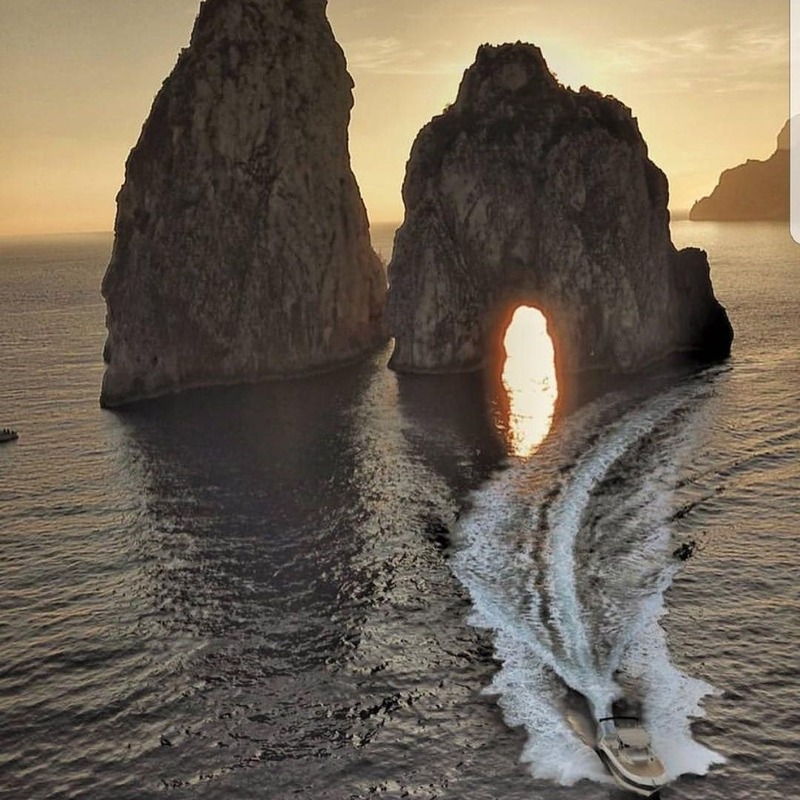 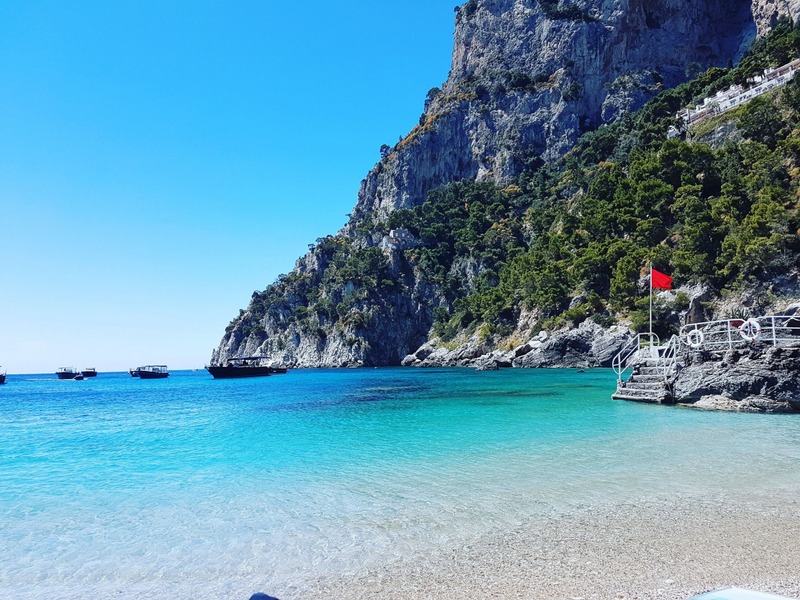 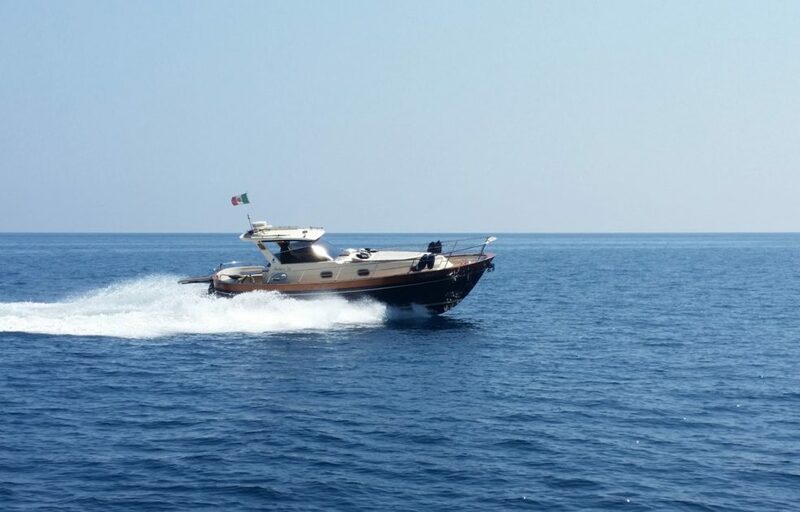 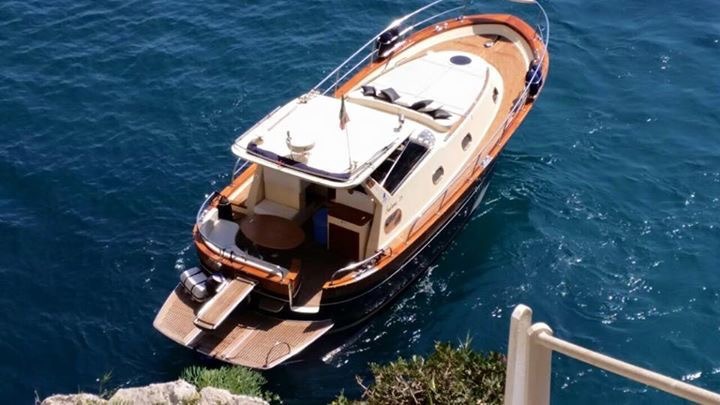 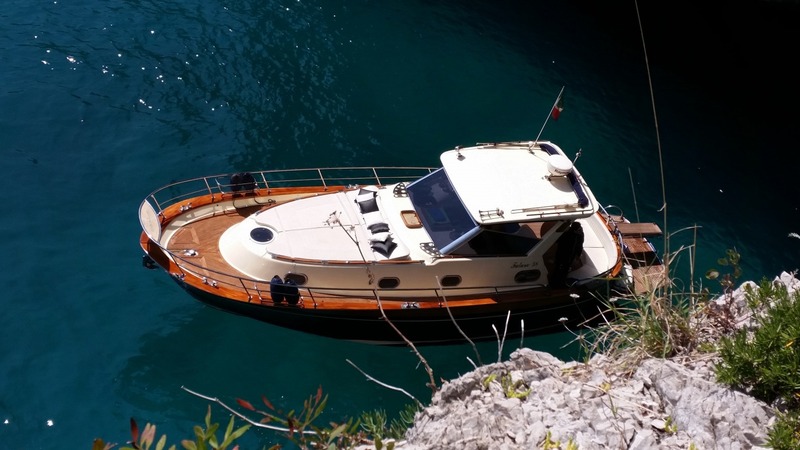 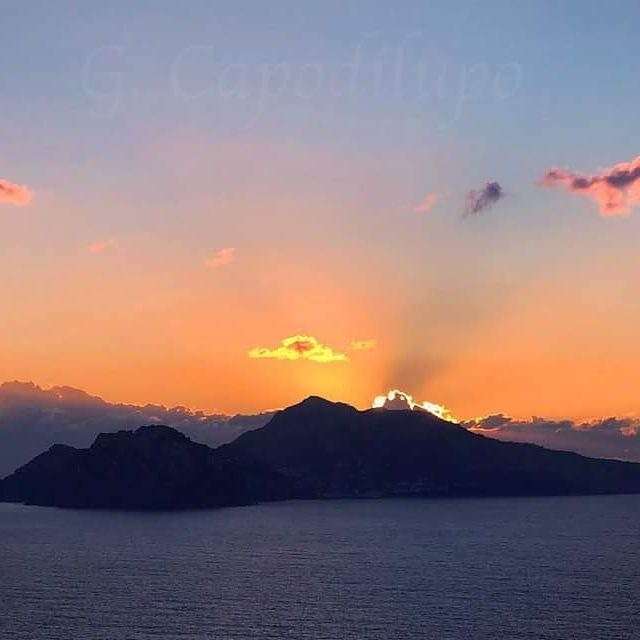 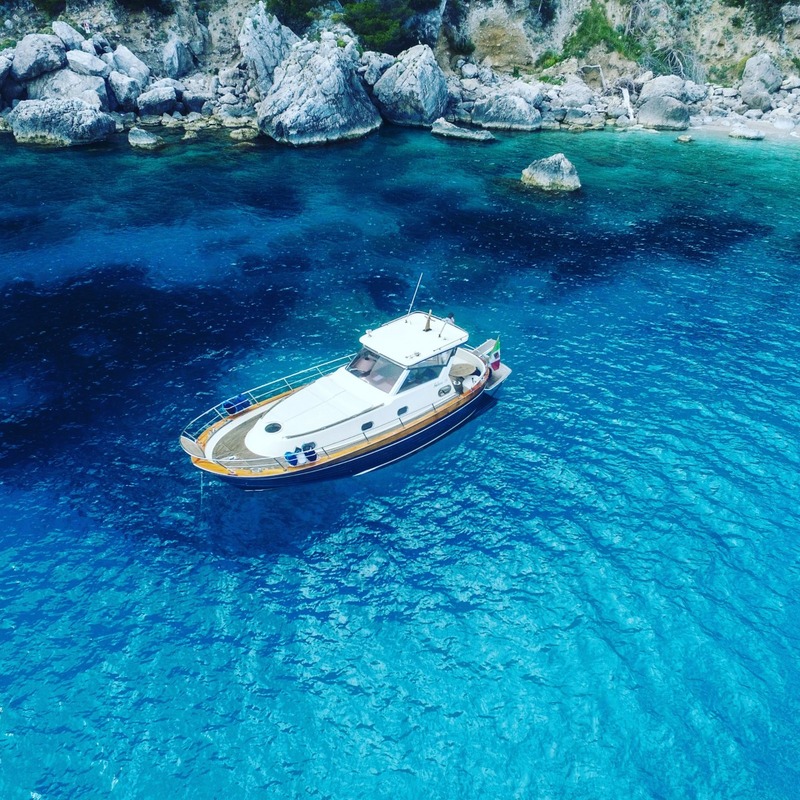 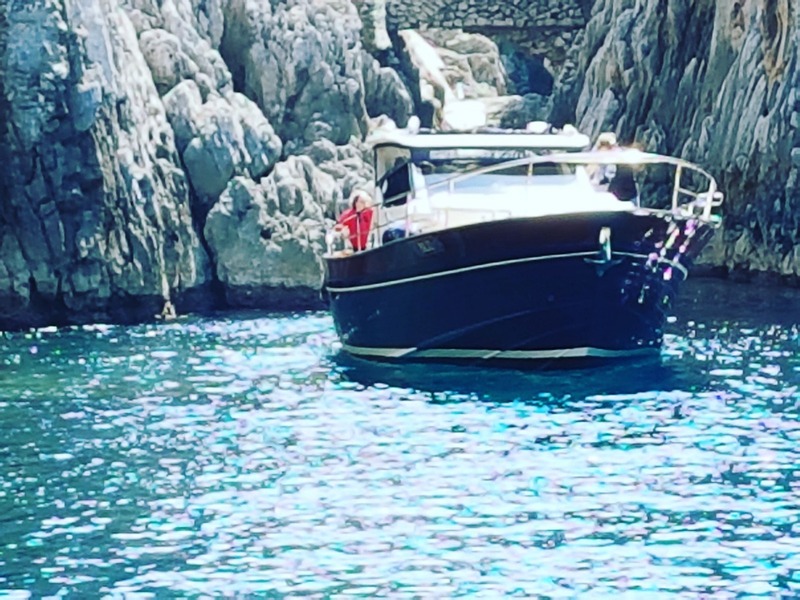 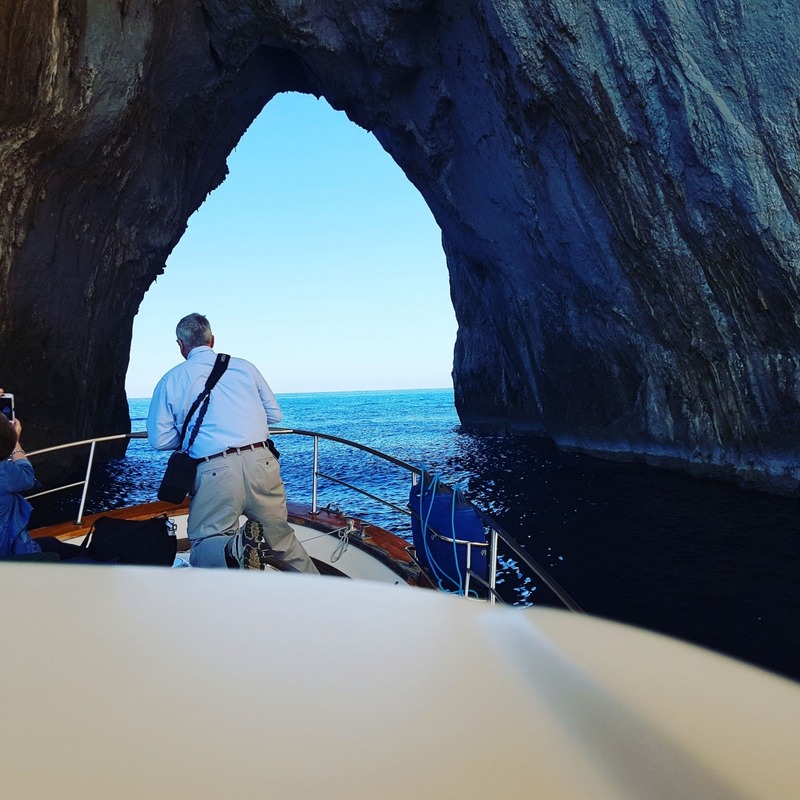 To reach our first destination, which is the Ancient Republic of Amalfi, where we will stop for 1 hour so you can see the main attractions of the town such as the Duomo and the Paradise Cloister, we will sail along the islands Li Galli. 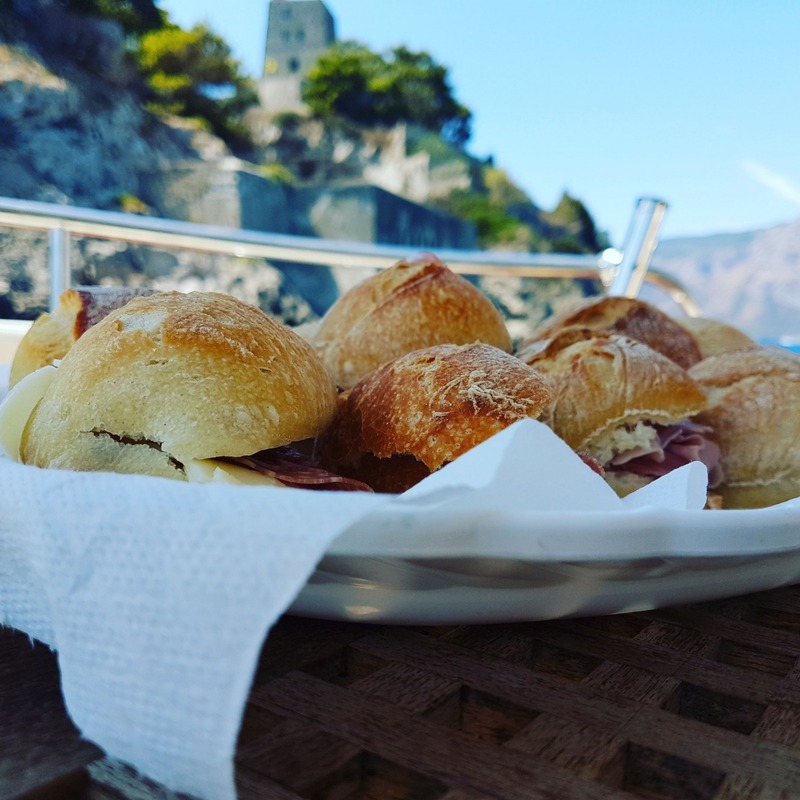 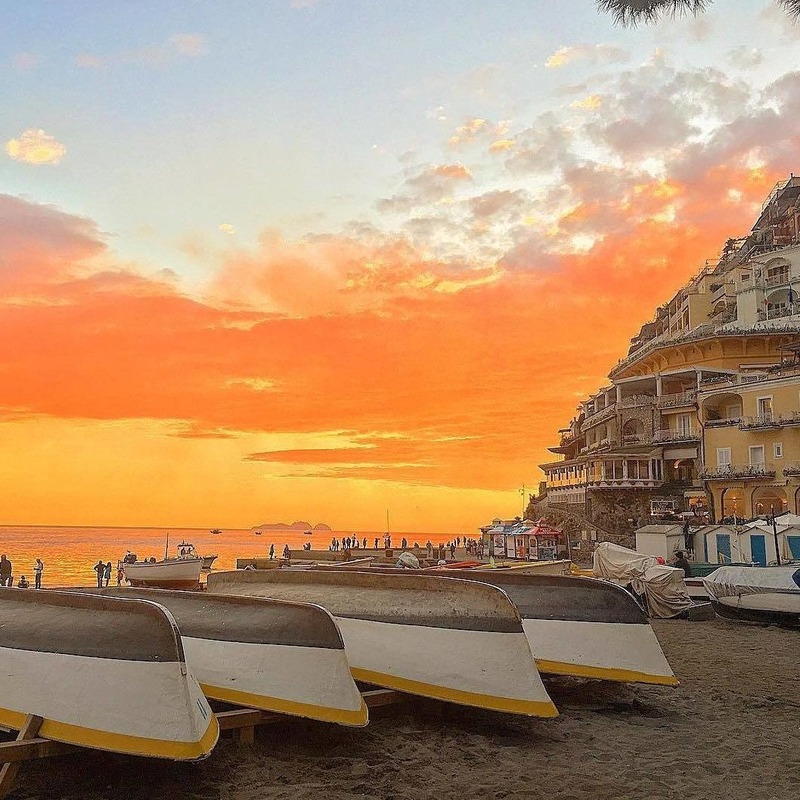 Second stop on our tour is Positano; here, you will have two hours to see round the island, eat at a great restaurant a tasty sandwich, included in the price. 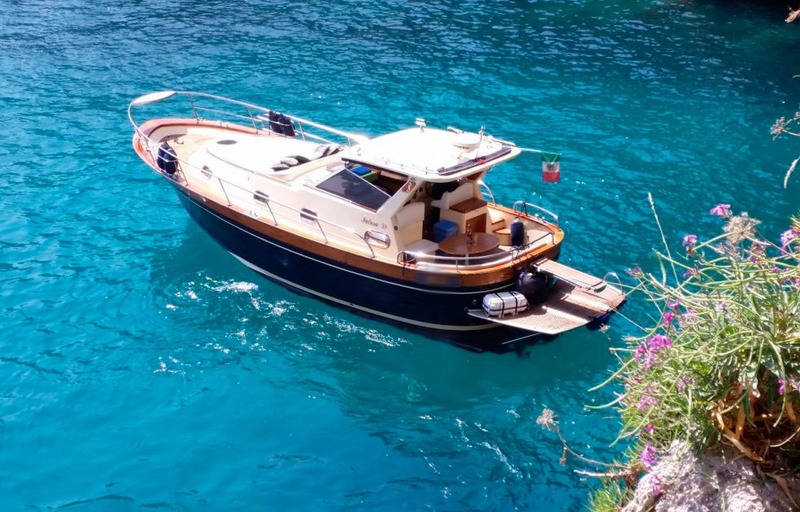 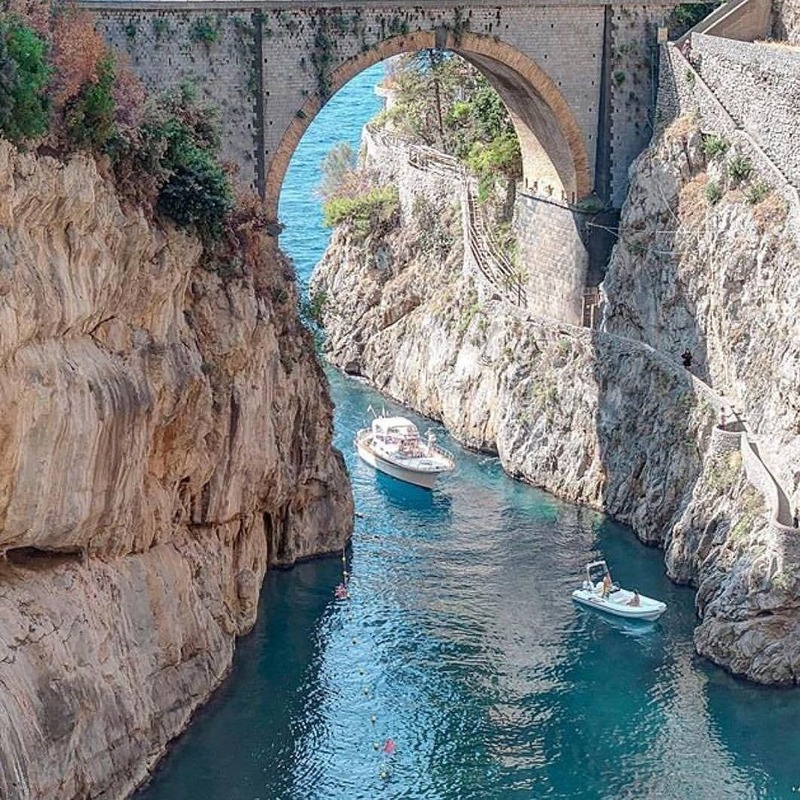 On the return route we will meet some breathtaking views such as the magnificent Fjord of Furore, the picturesque hamlet of Praiano, the small Fjord of Crapolla and the enchanting Isle of Eduardo de Filippo.